So I haven’t really been motivated lately to blog about anything deep and profound. Not much is going on over here, which is great because I like to think of it as the calm before the storm. I have my moments where I am thinking to myself, OMG! I can not believe that I am about to bring another person in this world that is going to have to be with me and in my care for the rest of my life! Then I see little kids and realize that they say the darndest things, so then I know at least I know for sure that my future kids will be an entertaining bunch. So whats been going on with me? Every chance that I get, I am snacking on something and if I am home you can find me relaxing in my bed. Not one step closer to my bedroom overhaul like I had hoped. Seeing as though we just hit that 2nd trimester mark at our last doctor visit Friday, that “Second Wind” of energy that people talk about has not hit me, nor has that nesting thing that everyone talks about. Also this week, my team, The Baltimore Ravens got their championship rings. 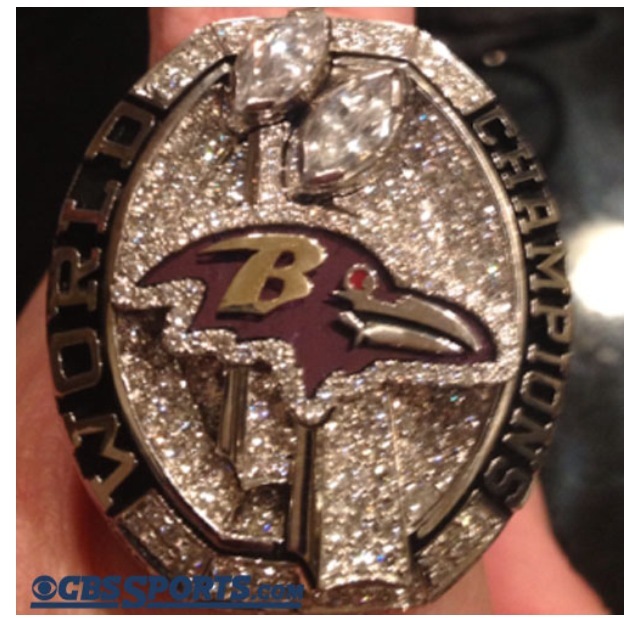 Although I hate the Raven, this ring is SO MUCH better then their first championship ring. They have definitely increased the ring budget. And just in time too because they began Mandatory Mini Camp today!!! WOO HOO!! Football Season is almost back again! We have a TON of new players thanks to the Salary Cap, so I am anxious to see how they will fill the shoes of some of my favorites that had to be traded. Also this week, due to the heat and the rain, this “natural” girl had to turn to protective styles and I think this is what I will be doing all summer – different variations of twists and braids. These are Marley Twists. They were quick and easy for me to do and then I pin them up each morning into a creative bun. Last night, was just a tad scary. We are used to Hurricanes here. We are NOT used to Tornadoes and winds that can destroy property. I spent most of the night in the window looking for funnel clouds in case we had to run to the basement only because the news reported a rotation literally 10 mins from my house and moving towards us. 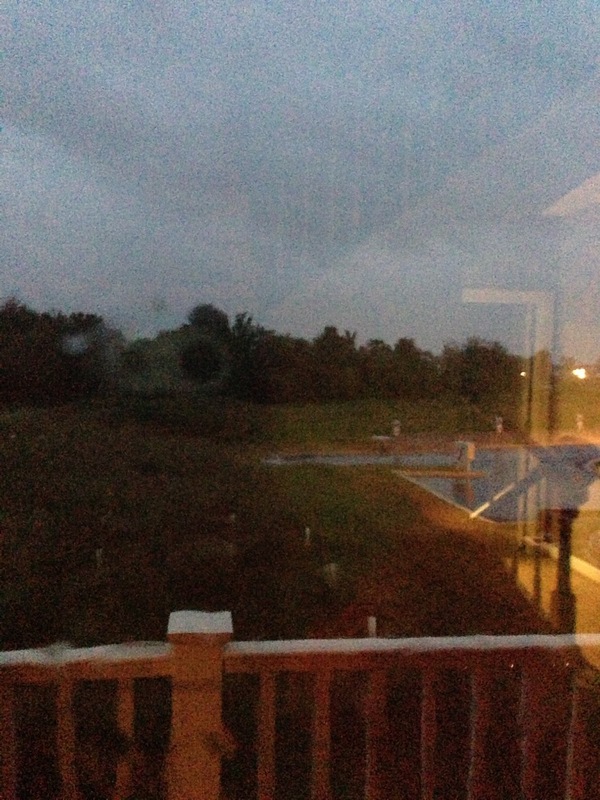 Thankfully, it just passed over us with no Tornado forming, just really bad thunderstorms. We made our best attempt to prepare for the storm. But one of the things that I have noticed thanks to pregnancy, is that I am UBER particular about not only what soda I want to drink but the brand of drink. I am addicted to Canada Dry PLAIN Ginger Ale, Ice Cold and in a can. No other brand will do! I really and truly almost had a meltdown. 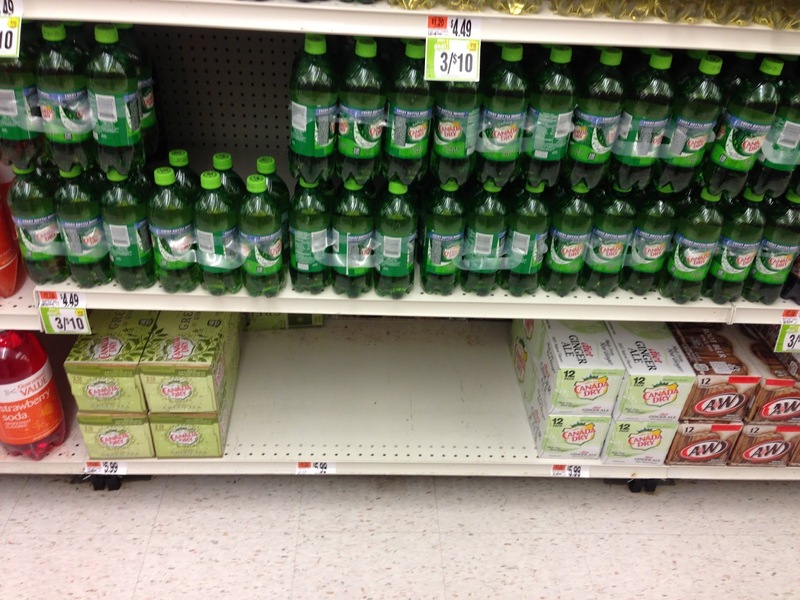 I stood there for so long, just staring at the empty space where Jasmine’s soda’s were supposed to be, hoping that they would appear… and NOPE. I was like are there other pregnant women who had the same idea?! Of all the sodas, this is the ONE that they didnt have and I was distraught! I had to grab a 6 pack of bottles to hold me over until we could go to another store to get the right thing. Last night, we even decided to break out the old pictures. We were trying to figure out what our future child would look like. and look like something between the both of these two pictures. 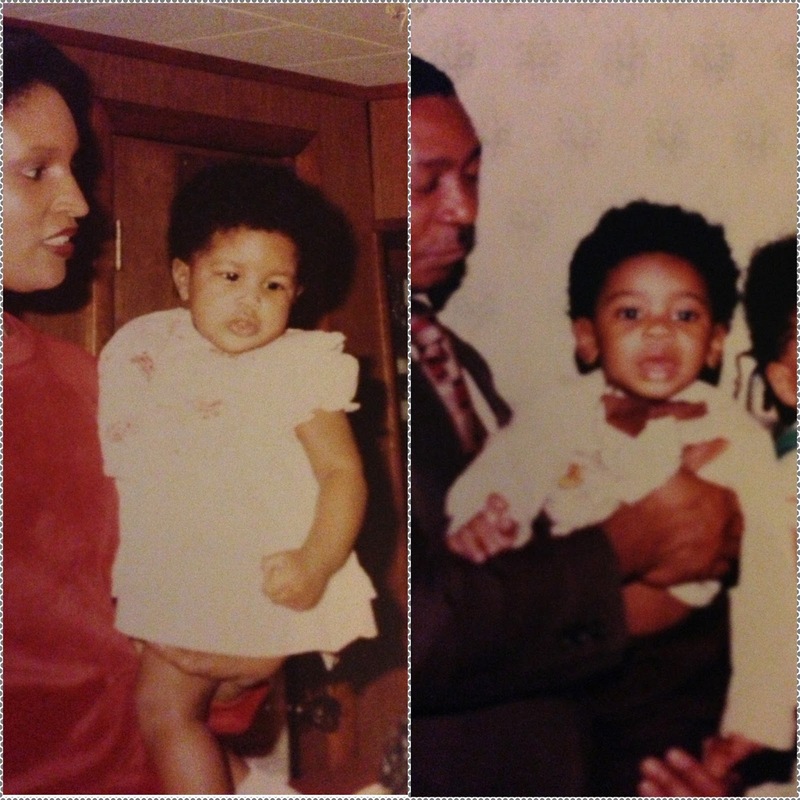 And yes, that is my husband on his first birthday – dressed in a brown suit, bow tie and tuxedo shirt. I tease him about it non stop! I’m like your parents really dressed you up for your first birthday didn’t they?! He swears we are having a boy and that he will be doing the same thing to him. I am Team Pink just to be opposite. We will soon know though… so it will be fun to see who wins. Of course we have bets on the table. Just know mines involves a designer handbag of sorts. What?! Your Husband doesn’t do THIS too? 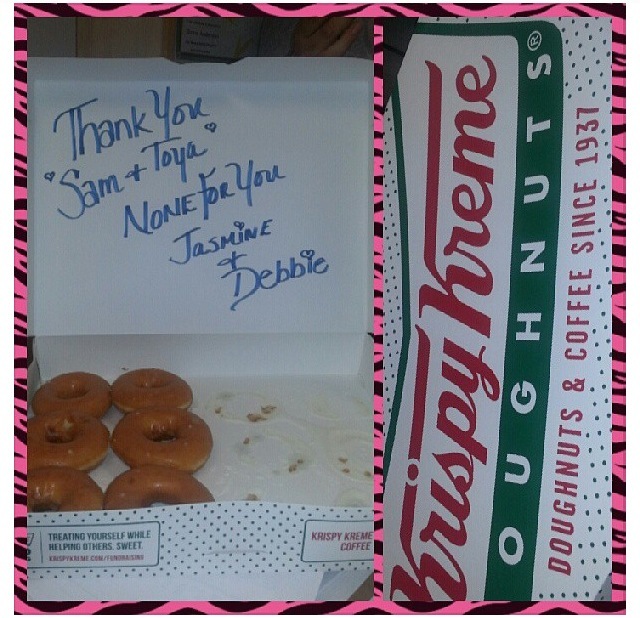 Haha your coworkers are hilarious! That's something I would do. 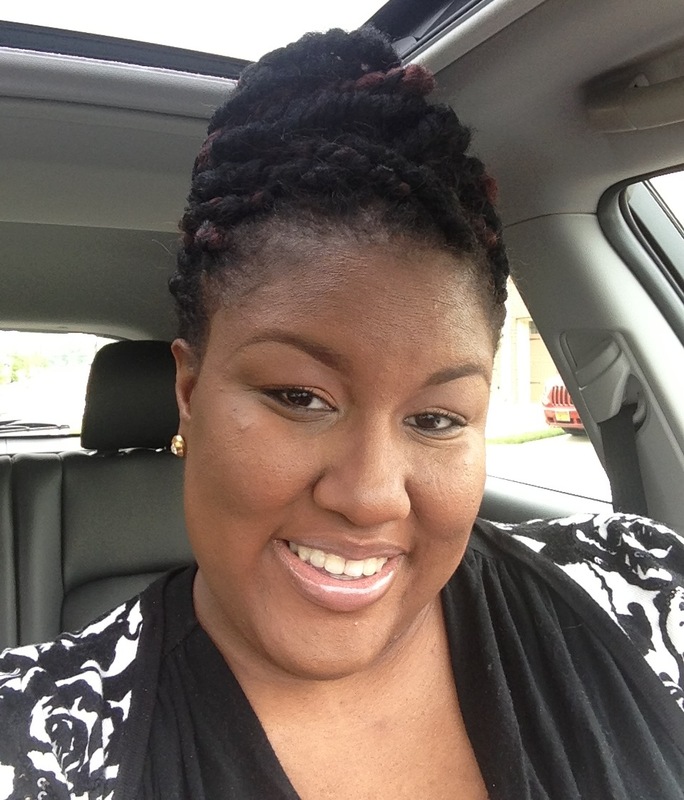 I'm loving your twists! They look great. Haha, too funny that you make fun of his outfit. I think he looked dapper, lol. No Soda mama! lol, I thought I was the only one who stood and looked and the empty spot thinking “I must be dreaming” lol! Soo happy for you! Love those twists. I've got to try that style myself. I hope you experience some of that 2nd tri energy soon.